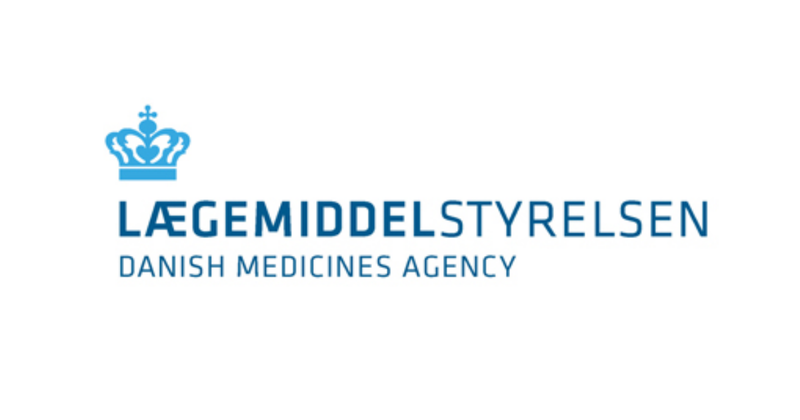 The supplier's company authorisation must be available for inspection by the Danish Medicines Agency at any time. The wholesale distributor is obliged to ensure that the authorisation is still valid. In the case of foreign suppliers, the company authorisation must be available in a language that the Danish Medicines Agency understands. The company can verify that the supplier has a valid authorisation electronically, e.g. via information from EudraGMDP: http://eudragmp.ema.europa.eu. It must be verified that the received batches of medicinal products comply with information in the delivery notes. The wholesale distributor should apply a risk-based approach by which it considers the type, nature and quantity of medicinal products received, including how they are received. If, for example, a company receives large quantities of the same medicinal product of the same batch in several cartons, a narrower receipt control could be performed whereby it would be sufficient to open only one of the cartons to verify that the batch number corresponds to the information in the delivery note. But if the consignment comprises boxes with different medicinal products of different batches and product numbers, then the receipt control must involve opening all boxes and checking each medicinal product against the delivery notes. Consignments of medicinal products received from a company outside Denmark, but inside the EU, must be accompanied by a control report. This is a signed declaration from the qualified person in the EU, having released the batch on the Danish market. The declaration certifies that the batch complies with good manufacturing practice (GMP) and the terms of the granted marketing authorisation. When consignments of medicinal products are imported from another EU market with the purpose of repackaging the products for parallel import, the parallel importer can base the control on other systems if a control report from the export market cannot be obtained. Such other systems should at least involve comparative tests. A GMP authorisation is required in order to repackage products for marketing in Denmark. If a parallel importer instead of repackaging a medicinal product decides to distribute it to another wholesale distributor, this is classified as ordinary dealing between wholesalers. A control report is required in order to import medicinal products to Denmark, cf. above. As with parallel import, a control report is not invariably required in this case. (xiv) Receipt control: Verification that the storage conditions of a medicinal product have been observed during transport, that the documentation required pursuant to this executive order is enclosed and that the supplied medicinal products correspond to the ordered products. Wholesale distributors and pharmacies must ensure that they only receive supplies of medicinal products from companies or persons authorised to manufacture, import or wholesale distribute medicinal products, or from a pharmacy. (2) If the medicinal product is obtained from another wholesale distributor, the receiving wholesale distributor must verify that the supplier complies with the principles and guidelines of good distribution practices. This includes verifying that the supplier holds an authorisation for wholesale distribution. (3) If the medicinal product is obtained from the manufacturer or importer, the wholesale distributor must verify that the manufacturer or importer holds a manufacturer's authorisation. (4) If the medicinal product is obtained through brokering, the wholesale distributor must verify that the broker complies with the requirements established for brokers. Wholesale distributors must ensure that receipt control is performed on all supplies of medicinal products obtained from companies or persons authorised within the EU/EEA to manufacture, import or wholesale distribute medicinal products, or from a pharmacy. Receipt control can only be performed in Denmark. In the case of supplies of medicinal products from other EU/EEA countries, the receiving company or the receiving pharmacy must verify that a control report is enclosed with the consignment, cf., however, subsection (2). (2) In the case of supplies of medicinal products for clinical trials or medicinal products sold or supplied pursuant to section 29(1), or section 30 of the Danish Medicines Act, and which are not covered by a marketing authorisation, the control report may be replaced by corresponding documentation. (3) If a consignment is not accompanied by the documentation referred to in subsection (1) or (2) , the receiving company or the receiving pharmacy must, before redistribution, ensure that every batch is checked in accordance with section 35 of the executive order on manufacture and import of medicinal products and intermediate products. Any violation of sections 21, 22 and 24(1) and (3) shall be punishable by a fine pursuant to section 52(1).